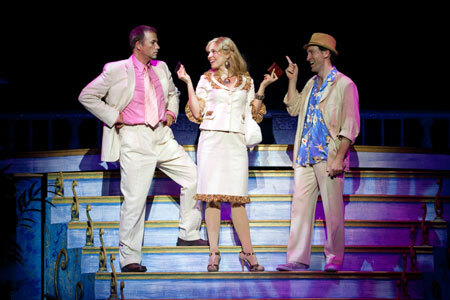 Dirty Rotten Scoundrels is a musical about two con men who trick wealthy women into giving them their money. At the beginning of the musical, we learn that Lawrence does this expertly—tricking women out of their money and even after they lose it all they still love him. Cue massive eye roll. Lawrence learns that there is another con man in town who is pretty famous and goes by the name The Jackal. Not long after, Lawrence spots Freddy swindling a woman out of her money and assumes he’s the Jackal. Freddy latches onto Lawrence when he realizes that Lawrence is better than him at tricking people out of their money and asks him to teach him to be a better con man. Lawrence agrees but Freddy quickly becomes Lawrence’s equal, and Lawrence declares that Freddy must leave the French Rivera, where they are both working. When Freddy refuses, they set up a contest: the first person who cons fifty thousand dollars from someone is the winner and can stay while the other will have to pack up and leave forever. Enter Christine, who arrives at the Rivera and is introduced as The American Soap Queen. Freddy and Lawrence both choose Christine as a target and begin the crazy wild ride of attempting to con Christine out of fifty thousand dollars, despite the other’s attempts to thwart them. However, at the end of the musical, it’s revealed that Christine was actually The Jackal. She quickly realized that Lawrence and Freddy were attempting to con her and turned the tables on them, running away with the fifty thousand dollars that she conned out of Lawrence. She later returns, pretending to be a tour guide, and convinces the guys that they should work as a team to con the people in the tour group. The musical ends with all three delighting in what awful people they are, happy that they found each other to work with. 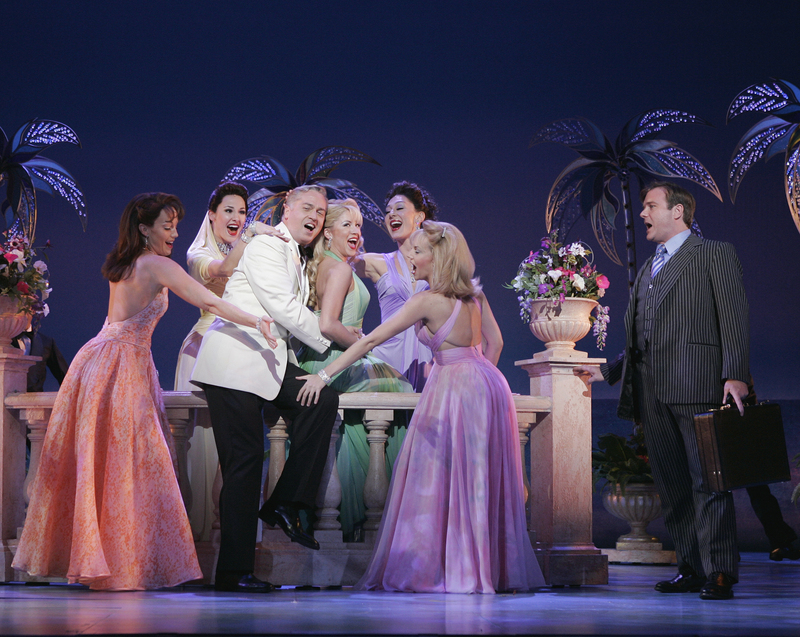 Don’t get me wrong, Dirty Rotten Scoundrels is an entertaining and funny musical which I enjoyed immensely, but it has the same issues that I pointed out before. Christine couldn’t show up and be just as good as Lawrence and Freddy. She had to be better than them. This plot would perhaps not be so insidious if any of the other women where portrayed as intelligent and complex people, but they aren’t. Every other woman up until Christine is easily tricked by Freddy and Lawrence, and they are all hopelessly in love with them to boot. I suppose Christine is supposed to show up as some sort of revenge on behalf of the ladies. But because there are no other intelligent female characters and, combined with Christine joining up with Lawrence and Freddy at the end, it comes off more as if Christine has proven that she is better than those other silly women, and is now one of the guys. It’s sinister how subtle the sexist message is in this musical. 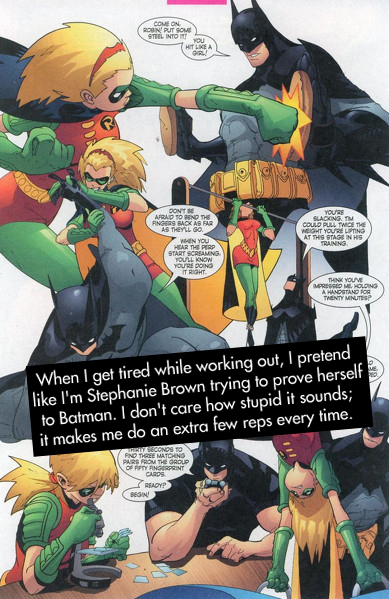 I don’t think the writers realized or intended it to be this way, but it is definitely problematic. Media keeps perpetuating the idea that women need to be better than men simply to be accepted as an equal, furthering the power imbalance between the two sexes. This harms everyone and is an easy way out of what could be decent character development. It’s fine to have a female character who can beat a male character at something, but if that is the only why to “justify” the female character being accepted, then something is certainly wrong. This entry was posted in feminism, Musicals, opinion, sexism and tagged Dirty Rotten Scoundrels, feminism, Media, Musicals, pop culture, sexism by Lady Geek Girl. Bookmark the permalink.